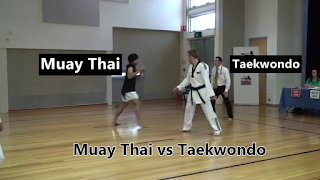 TAEKWONDO VS MUAY THAI: TURN BACK KICK KNOCKOUT !!! Let me Fight the Taekwondo guy! The Muaythai guy you sent is not a Legit Nakmuay! That is not muay Thai.